Though the followers of heathen Eastern Practices claim that such occupations do not belong to any religion and there is nothing harmful for believers to follow their “wisdom science” there are plenty of questions appear regarding the connection of Eastern practices to open idolatry. 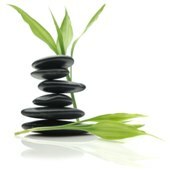 Let’s go into the subject by the examples of Yoga and Feng Shui. It was a discovery for me that yoga and other Eastern practices belong to occultism. Yoga is extremely popular all over the world. But after having researched this issue it became clear that such time spending is pure and simple another form of idolatry based on charlatanry, misleading and mind control with varieties of sectarian methods. Getting a secret name, permanent work on physical and spiritual relaxation, meditations, reading of mantras, “special” relax music, looking for cosmic energy, unique nutrition leads a person to the state of heathenish mysticism. Yoga means unity with a cosmic Spirit. All the actions are performed in order to reach this aim. Safeetarnama, which means, “I bow my head to you, O bestower of life” etc. According to what was said above we can conclude that yoga is a devilish occupation based on falsehood and charlatanism leading a person to shirk. Worshiping the sun is Idolatry. Before being involved into any activity like this a believer must analyse the nature of it. Allah warn us in Quran beware of worshiping the sun and the moon like pagans used to do. Even if a person wants to practice yoga only for physical relaxation he is involved into atmosphere of mysticism. A Christian person who was practicing yoga for many years was telling in his story that when they record special relaxing music for yoga followers they charge this music with “special” energy. And the question rises here, from who is this energy while it is not from Allah? Of course everyone has a choice weather to be involved into such activities or no. Allah Almighty gave us free will to choose either to worship Him or to live according to Satan’s scenario. Those who believe in One Almighty God must think well before going into activity which can weaken their iman and lead them to shirk, even involuntary. Feng Shui is another bright example of occult Eastern practices. Feng Shui is given a wide publicity nowadays. It is difficult to find a person who has never heard about this “wisdom”. Living according to Feng Shui came into fashion. They can call it either science or art but in general Feng Shui in its modern form looks like paganism. It is a belief that by some actions or rituals one can make spiritual forces fulfill his worldly wishes. 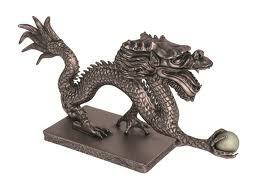 Those who are fond of Feng Shui believe that they can attract luck, love, wealth etc. by placing furniture at their homes in a certain order. 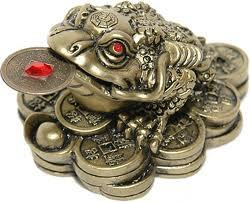 Also there is a system of talismans and symbols which are believed to attract “good spiritual forces”. 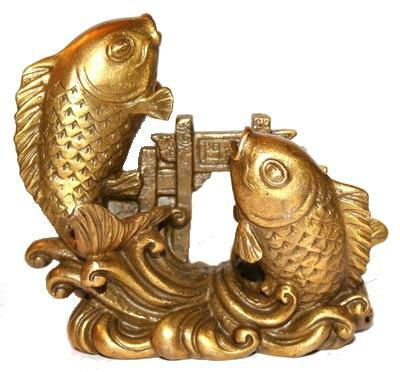 For example Feng Shui experts claim that four spirits which are The Azure Dragon, The Black Warrior, The White Tiger and Phoenix protect home from troubles; frogs are said to bring fortune and luck, the Chinese Ox symbolizes success, abundance and the accumulation of wealth, the horse can bring career success, business cures and stimulate a good reputation etc. In point of fact Feng Shui system of knowledge controls all aspects of life of its followers. It teaches them how to place furniture, how to dress, what to eat etc. The proclaimed aim of this system is to fulfill worldly desires by attracting good energy. In other words it is a belief that someone or something besides Allah can improve or worsen the course of events. It is searching for attendance of something else besides Allah. It is giving preference to material world (dunia). 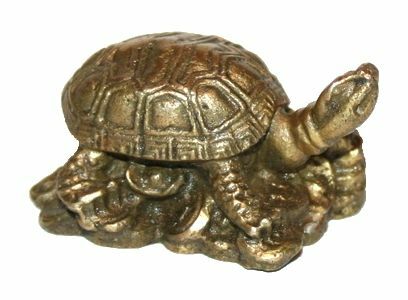 Each of statuettes has a special meaning. For example there is statuette of god Hotei in the last picture. 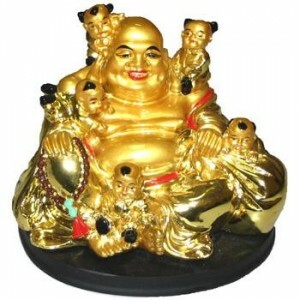 It is considered to be one of the most famous gods of happiness and wealth. Believing that spirits, totems and figurines of animals can help to improve life is paganism. It is shirk and a believer should avoid such actions. Occultism in all its shapes brings a soul into destruction. Nothing can bring satisfaction in life except a sincere faith. Only a person with a strong faith, seeking knowledge and living for the sake of Allah can recognize shaitan’s tricks and avoid them. And he will never fall for material pleasures; he will never sell his afterlife for the price of worldly wishes. There is an ayat in Quran where Satan said that he will lead astray all except those who have a sincere faith. Dear brothers and sisters! Let’s be attentive and live astray from the dangerous sin of idolatry and serving Satan even involuntary.